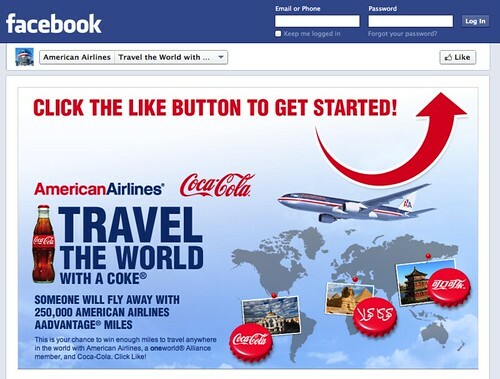 To enter the sweepstake visit American’s Facebook page and “Like” the promotion. 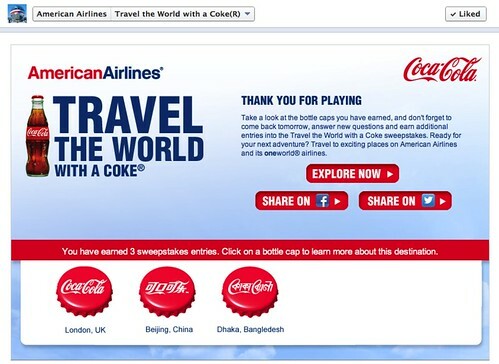 You’ll be presented with three different Coca-Cola bottle caps, each in a different language, you play by matching each bottle cap to a location on the map. Each correct answer will earn you one entry in the sweepstakes. I’m not sure if the bottle caps are the same for everyone, but here’s a look at how I answered. BTW, if I win, I may just use some of the miles to go to New Zealand just to see these public toilets in Wellington. @ Darren – Sorry you couldn’t play. Thanks for mentioning the residency requirement. @ Jim – was wondering if everyone would get the same caps. Thanks for sharing! New caps now… Moscow, Egypt and Tokyo – so 6 altogether if you played before, and I also got the same ones earlier so my guess is they don’t change. @ Viguera – That’ s interesting. Thanks for the update!